Products & Frameworks | Global Data Management Inc.
EZDataCrest is a reporting tool specially targeted towards the healthcare and insurance industries. Due to fast changing regulations, it is very important to have data readily available in various formats for both decision makers and market analysts. This is a lightweight tool, which can be easily configured as needed for an input data source as well as output data formats. Reporting is one of the most essential parts of any business and being able to create accurate and timely reports is essential for businesses to achieve strategized growth. Reporting also helps in budgeting and cost cutting. Every business depends on historical and present data so that they can better plan future business strategies and prospects. There are numerous software tools and technology to move, convert, transfer, save and view data in various formats. There are various ways to store data like file systems, databases and RDBMS systems, big data technologies like Hadoop, Cassandra and Mongo DB. One common requirement for every business and industry is to view, query and analyze data. Even though there are numerous tools to do that, there is still a lot of scope in that field. Also, every business domain will have specific requirements and it takes a lot of effort and money to customize tools and software. That is where EZDataCrest comes in. EZDataCrest will simplify this important aspect of every company. Our clients are tired of based on past trends, so, instead, we help them find the trends of the future. eTrendFinder is a key component in GDM’s analytical platform that is used by businesses of all sizes to find product and services trends. These trends, in turn, give geographical and demographic metrics to target specific marketing efforts. With today’s technology, it is effortless to compress and process the abundant structured, unstructured data and resources that are available on the Internet. This data is a marketer’s gold mine. By utilizing it effectively, companies will know how to identify new revenue opportunities by generating targets and achieving growth. 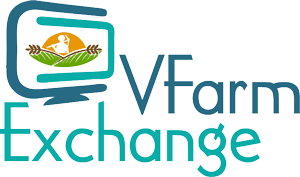 VFarm Exchange acts as a real time commodity and ease exchange between farmers and tech-savvy buyers. It different from regular retail and online grocery applications, / The main idea is to give both farmers and tech savvy buyers a platform to meet each other in a virtual space. People want to find where their food comes from, how farmers grow organic/no-organic produce and cultivate dairy products. At the same, time we want farmers to benefit directly. Farmers cultivate farms to produce different types of food using all the knowledge, techniques and materials available to The main audience of this application is the Indian market, and more specifically, a few metro areas, initially. The idea has been very well received and it is in its development cycle. The response for the need of this exchange has been tremendous.